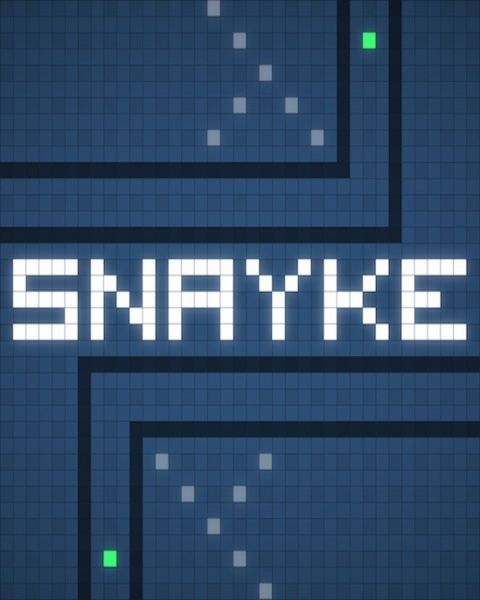 Snayke version 1.1 has been released. There are no new major feature additions, however many bugs and other issues have been addressed. Anton Riehl, the game's composer, has recently released the full soundtrack for Snayke on his website. Cover art is included as playable in-game levels! Check it out. Nice game, I like it. Sadly the game doesn't always react on my keystrokes, which results in me losing (it reacts delayed, all grapic options already turned to off, was impossible to play with them on here; AMD Athlon 64 3000, w/ 1.8 GHz, Debian sid 32bit). "There was an error during the gathering information process and it has been stopped. There is no update available for this item. [52.0]"
Hi, I just bought this game and the graphics look jagged. 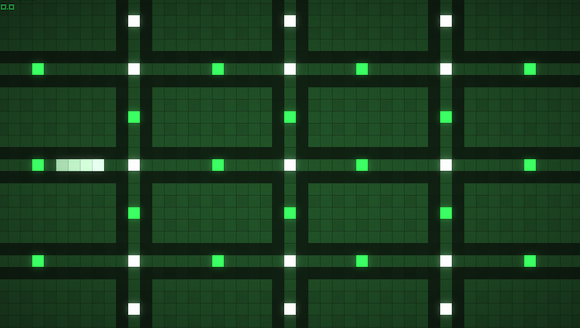 The background is black and the snake is made of intermittent jellow strings. This is so frustating. How can I fix it? Hi. Do you have the latest graphics drivers for your video card? If you turn shaders off in options->graphics, does it look normal? If so, does it look normal if you turn shaders on and bloom off? Yeah I got the latest drivers. Anyway it looks normal only if I turn both shaders and bloom off. I can really enjoy it now, does shaders and bloom make a significative difference? I'm getting no errors and have to say I really enjoy this game! Thumbs up! [string "graphics.lua"]:1352: Cannot get location of shader variable `love_ScreenSize'. A common error is to define but not use the variable. I have an Nvidia 560 Ti graphics card with latest drivers. The same problem occurs on a laptop with Ubuntu 12.04 and Intel HD graphics. God this makes me feel old as i released a snake version on the C64 under the Firebird label back in the 80's,very nicely done by the way.